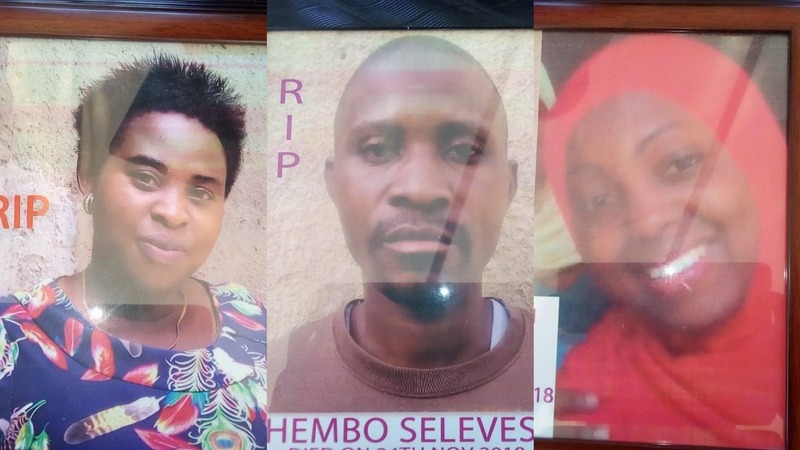 RUBIRIZI – As the news of the Lake Victoria boat tragedy unfolded on Saturday, residents of Kasese Town in western Uganda were coming to terms with the loss of their loved ones in a deadly road accident that occurred at around the same time on Saturday evening. 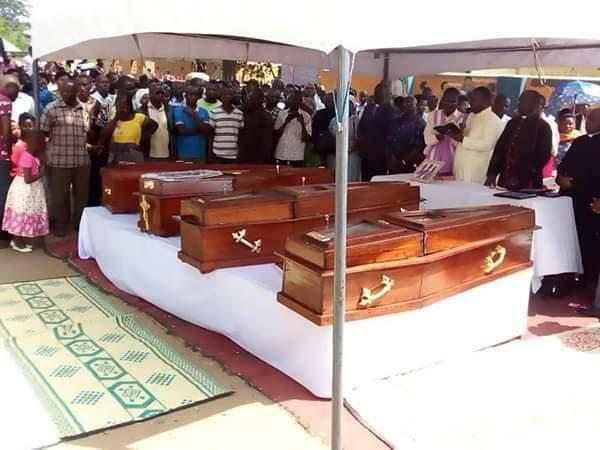 The deceased in question are five teachers of Pearls Kindergarten and Primary School, who perished at Rutoto in the neighbouring Rubirizi District. The group were on their way from Bushenyi District for an academic visit to Pearl Junior, a school with whom they share a name. The accident occurred after the driver of the vehicle tried to avoid hitting a boda-boda that had all of a sudden entered the road and rammed into an approaching trailer. Five of the teachers died on spot while three others sustained serious injuries and are admitted to Lugazi health centre IV in Rubirizi district. Rwenzori East regional traffic officer Mathias Okwir identified the dead as Hannington Atuheerize, Tamari Natukwatsa, Sylvester Thembo, Moshi Ziyadi and Privah Tumukunde. The injured are one Kule the driver, Prossy Kanyere and Agnes Akampurira. On Sunday, the bodies were taken to the school for prayers before the school directors could arrange transport to their villages. Most of the victims are said to be hailing from Bushenyi District. We could not immediately speak to the directors and school administrators by press time. The accident comes hardly a week after eight people died on spot and 15 others admitted to hospitals with severe injuries following a motor accident that happened last Wednesday night at Namasoga Village, Bulamagi Sub County on the Iganga-Jinja highway. Last month, six people perished in a motor accident that happened in Wobulenzi Township along Kampala-Luweero Highway. The accident involved a Vitz registration number UAS 163T and a Fuso truck registration number UAR 162G. Road carnage in the country has continued to claim several lives. According to the annual Traffic and Road Safety report for 2017, more than 3,000 people were killed and another 10,000 picked injuries of varying degrees in 13,244 road accidents last year.